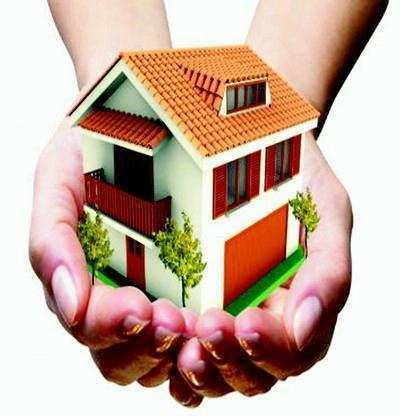 NEW DELHI: Ruling out rollback of the proposal to restrict tax incentive for second home+ to Rs 2 lakh per annum, revenue secretary Hasmukh Adhia on Saturday said there is no point in subsidising purchase of second property by those who have surplus funds. Citing limited resources, he said it is prudent to subsidize first-time buyer and not the second property owner who is not staying in that but earning income from the second unit. The Finance Bill 2017+ has restricted set-off of loss towards second home against other heads of income up to Rs 2 lakh under Section 71 of the Income Tax Act. “Government resources are very very limited. The question is should the government be subsidizing first-time home owners who are occupying own house or should the government be subsidising the second acquisition of the property by people who have got surplus money to invest in real estate,” Adhia said while addressing industry representatives here. The loss to the government for the second house were almost one third of that, he said, adding that it came to about Rs 3 lakh in addition to Rs 2 lakh advantage. “So, why should the government bear the cost of second house acquisition, that was the question. We have a lot of people to be given affordable housing, we need to help them out… so the revenue loss was huge and people were virtually misusing it,” he said.The Finance Bill, 2017, proposes to restrict such set-off of house property loss to Rs 2,00,000 per annum only. Balance loss, if any, will be carried forward to be set off against house property income of subsequent 8 years. Hence, individual tax payers having loss of more than Rs 2,00,000 will now have a higher tax outgo. “In line with the international best practices, it is proposed to insert sub-section (3A) in the said section to provide that set-off of loss under the head ‘Income from house property’ against any other head of income shall be restricted to Rs 2 lakh for any assessment year,” the Finance Bill 2017 said. Builders will be eligible for tax and subsidy incentives, and institutional funding at affordable rates. Union Finance Minister Arun Jaitley, in the Budget 2017-18, has proposed to grant ‘affordable housing’ the coveted infrastructure status to facilitate higher investment in the sector and, in turn, achieve the government’s ambitious goal of ‘Housing for All’. The grant of infrastructure status would mean builders will be eligible for many government tax and subsidy incentives, and institutional funding at affordable rates for low cost homes. Pointing out that in his Budget proposals last year, he had announced a scheme for profit-linked income tax exemption for promoters of affordable housing scheme and that it had received a good response, Mr Jaitley said he intended to make this scheme more attractive. In a bid to boost affordable housing, the Budget 2017-18 proposed to ease the condition of period of completion of the projects from current three years after commencement to five years. Besides, measurement norm of affordable housing has been amended to carpet area from built-up area — a move that will expand the area and make more projects eligible. The Budget also proposes to modify the affordable housing scheme by stating that “instead of built up area of 30 and 60 sq.mtr., the carpet area of 30 and 60 sq.mtr. will be counted. Also the 30 sq.mtr. limit will apply only in case of municipal limits of four metropolitan cities, while for the rest of the country including in the peripheral areas of metros, limit of 60 sq.mtr. will apply. There are also tax sops for developers struggling with completed but unsold homes, estimated at around six lakh units in eight major cities. “At present, the houses which are unoccupied after getting completion certificates are subjected to tax on notional rental income. For builders for whom constructed buildings are stock-in-trade, I propose to apply this rule only after one year of the end of the year in which completion certificate is received so that they get some breathing time for liquidating their inventory,” Mr Jaitley said. He also proposed to make several changes in the capital gain taxation provisions in respect of land and building. “The holding period for considering gain from immovable property to be long term is three years now. This is proposed to be reduced to two years,” the Finance Minister said. “Also, the base year for indexation is proposed to be shifted from April 1, 1981 to April 1, 2001 for all classes of assets including immovable property. This move will significantly reduce the capital gain tax liability while encouraging the mobility of assets,” he added.